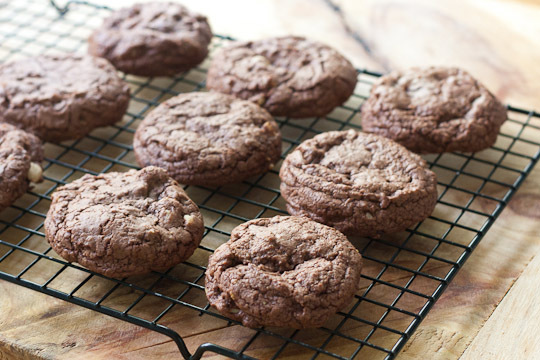 Flourless and full of flavour, these homemade cookies are much nicer than what you’ll find in the gluten-free sections of the supermarket. These are made with only natural ingredients and no nasty chemicals or heaps of sugar are added to compensate for the lack of flour. You also truly cannot beat that ‘fresh out of the oven’ taste! Cream together the butter, sugar, almonds and coconut until pale. Add the egg and the vanilla until well combined. Throw in the oats and cocoa powder to thicken it out a little. You might want to use more/less depending on its thickness. 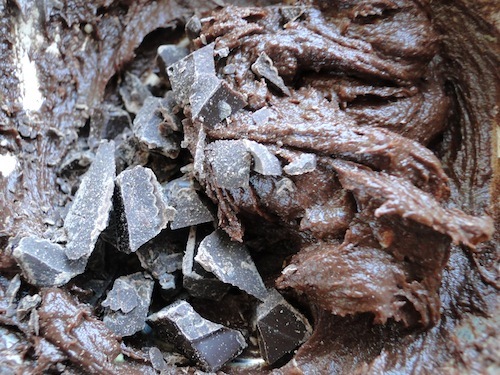 Stir in the chocolate ingredients and refrigerate for an hour or so. Spoon out into small balls and pat each one down slightly with the back of a spoon. Make sure the cookies are spread out with enough space between each (about 2 inches). Bake for 15 minutes or until they start to go slightly browned on the edges. 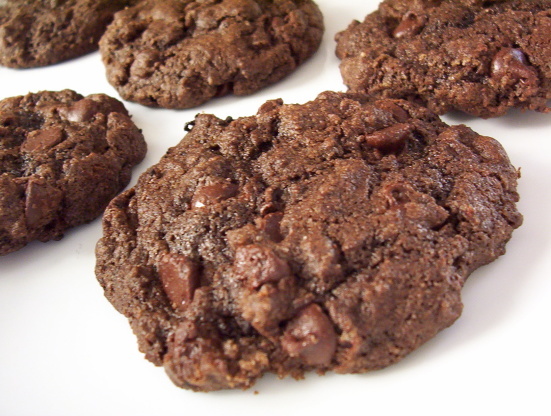 Leave to cool and set – now you can eat your triple choc gluten-free goodness! Previous Entry Nutella & Baileys Brownies! RECIPE COMING SOON!